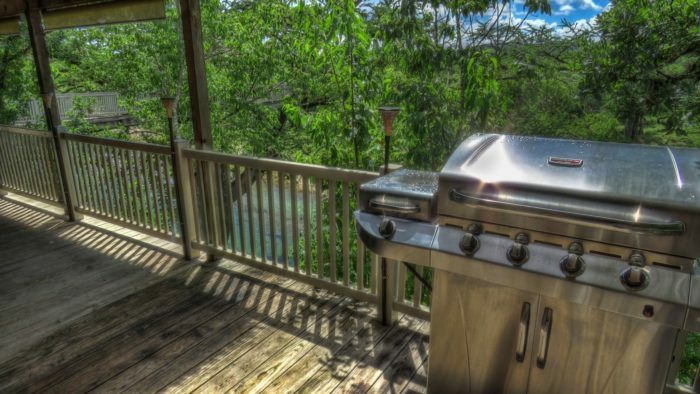 Enjoy a cup of coffee on a deck overlooking a tranquil river, and listen to the sounds of birds chirping through the trees. 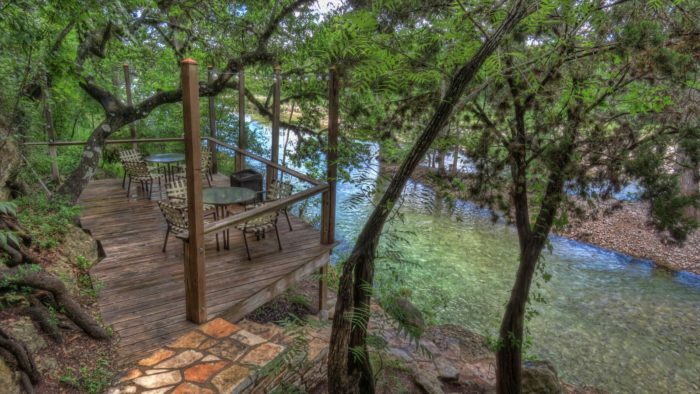 This dreamy setting exists, and you could experience it first-hand at Rio Frio Lodging’s treetop bungalow. Let your imagination soar as you live out your long-time fantasy. 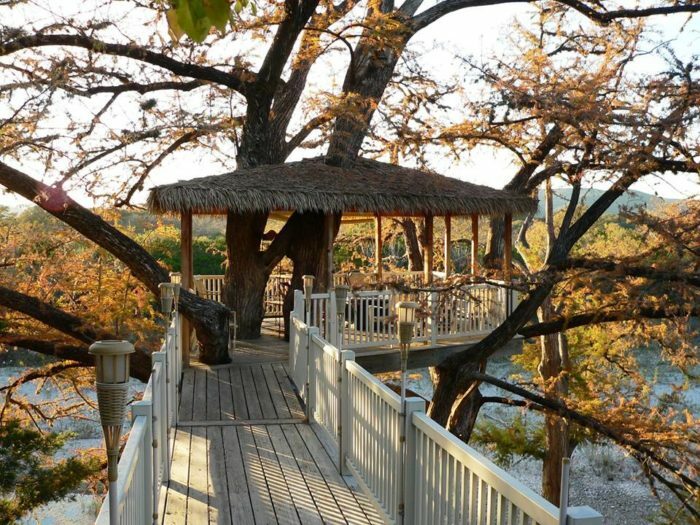 A night at this whimsical treehouse near Austin will make your childhood dreams come true. 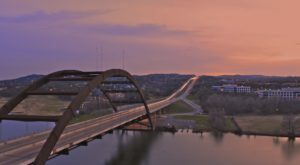 Embark on a weekend trip to Rio Frio, Texas. 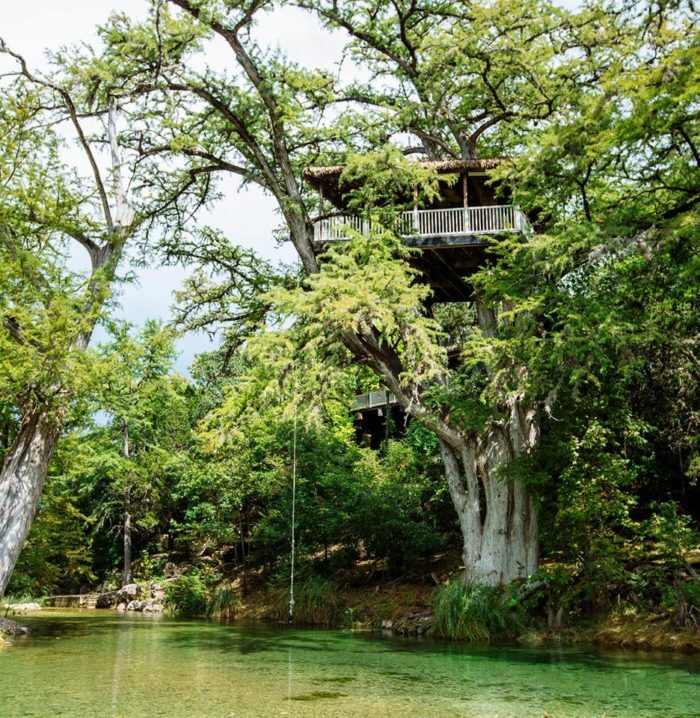 A 3.5 hour drive from Austin will take you to a magical treetop oasis. This spectacular getaway will ignite your imagination and make you feel like a kid again. 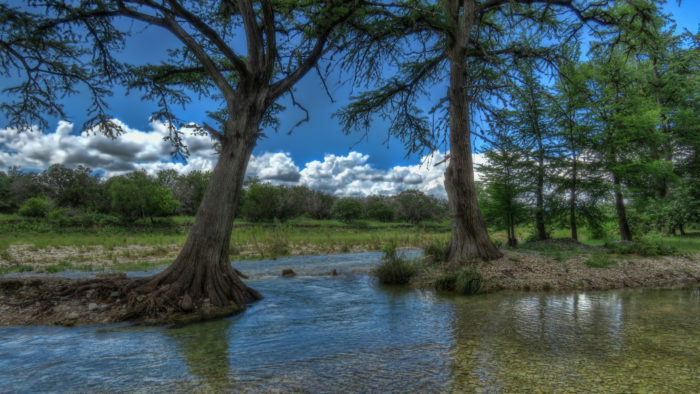 This lovely oasis overlooks the magnificent Frio River. 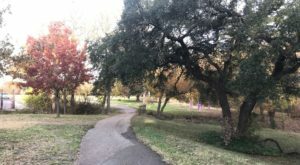 There's so many exciting things to discover along the Frio River. 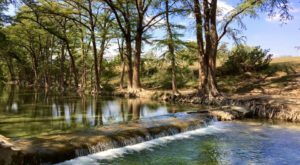 You can explore the lush surroundings at Garner State Park, tour the area's mysterious bat caves, and float along the water. After a long day of exploring, nothing is better than returning to this treetop bungalow. You could stare into these crystal blue waters all day long. 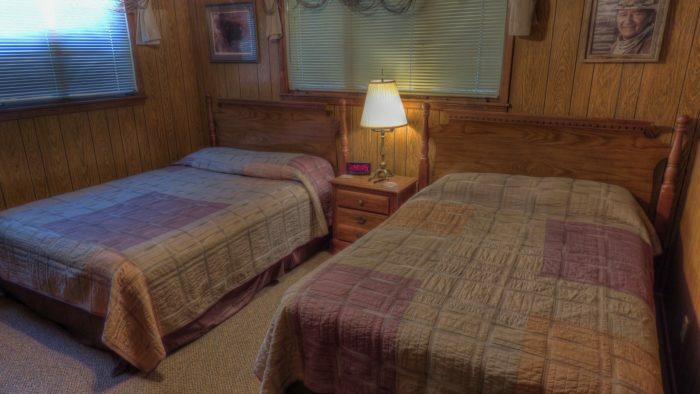 The treetop lodge has room for all of your family and friends. 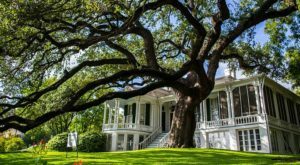 This amazing house can comfortably fit up to 20 people, making it the ideal place to celebrate a special occasion. Lounge on the deck and absorb the breathtaking sights around you. Everyone will love this gorgeous getaway. 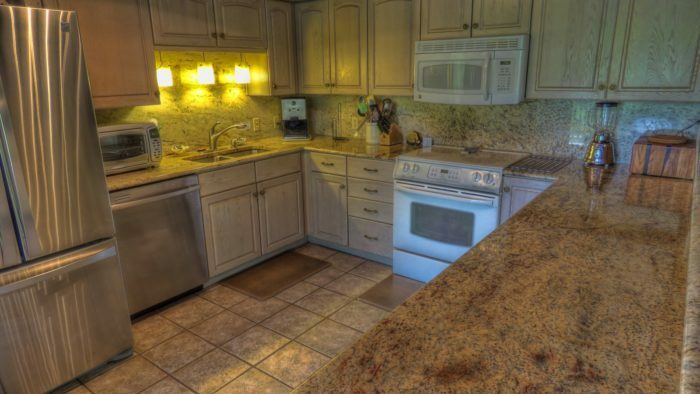 ...or take advantage of the massive indoor kitchen. You could create a feast in this huge cooking space. The cozy bedrooms are peaceful and quiet. Nature's relaxing lullabies will help you drift off to sleep. 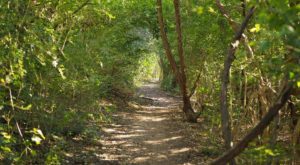 Let the sounds of the surrounding area melt away your worries. 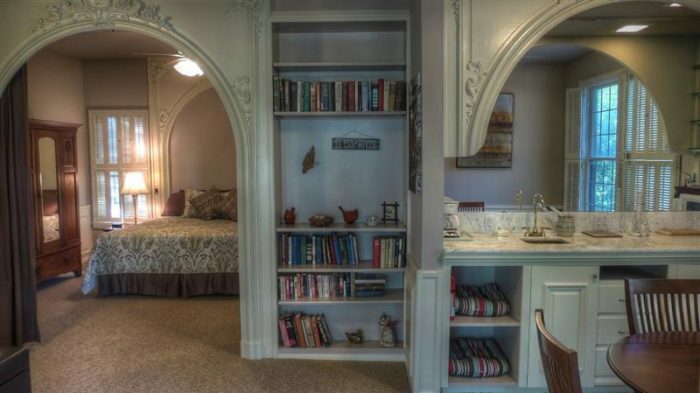 The welcoming cottage has plenty of book nooks. Snuggle up in a chair and get lost in an engaging book. You'll enjoy every part of this unique lodging. 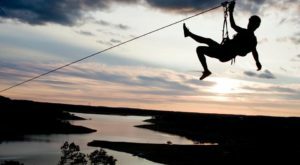 You'll never forget your stay at the Rio Frio Treetop. 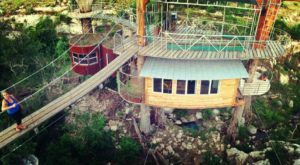 This whimsical treehouse is part of Rio Frio Lodging. 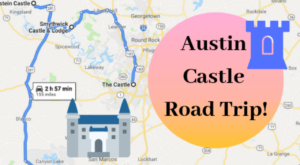 Their office is can be found at 5181 FM 1050, Rio Frio, TX 78879. To learn more about renting this unique bungalow, visit their website or Facebook page. Would you stay in this magical oasis? 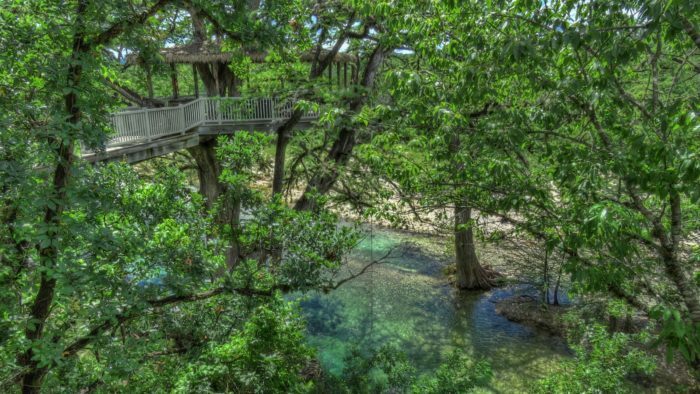 If you want even more adventure, you can sleep under a forest canopy at this epic treehouse near Austin.